The Piaggio Group today expanded its portfolio for Vespa in India by unveiling two exclusive products in the country – the Vespa 946 Emporio Armani and Vespa 70th anniversary special edition. These bikes not only symbolize elegance, style and sophistication but are also synonymous with Italian craftsmanship. These iconic bikes will add to Vespa’s signature portfolio in India. The Vespa 946 Emporio Armani will be available in India as CBUs and will be sold through Piaggio Group’s Motoplexs. The Vespa 70th anniversary edition will be produced in India and will be available through wide network of Vespa dealers across India. 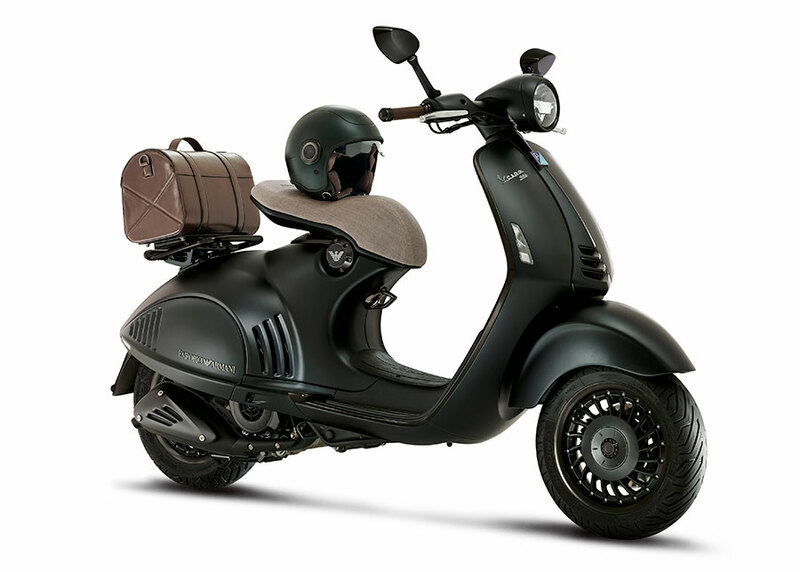 The Vespa 946 Emporio Armani, was developed jointly by Giorgio Armani and Piaggio to celebrate two of Italy’s most established symbols of style and creativity. To mark the year 2015 – the 40th anniversary of the foundation of Giorgio Armani and the 130th birthday of the Piaggio Group – Emporio Armani designed a special version of the Vespa 946. In keeping with Armani’s signature subdued colour palette, the designer has come up with a special combination of greys with subtle hints of green visible only under particular light conditions for the project. The name ‘Vespa 946’ alludes to the year – 1946 – that this scooter, which has become popular around the world, was first made. The design of the new Emporio Armani is a modern reinterpretation of the original Vespa style. The metallic parts have been treated in order to convey a matt effect in line with the body finishings.The words ‘Emporio Armani’ appear on the side, while the iconic eagle logo of the brand sits above the headlight. The Vespa 946 Emporio Armani is about technology as well as style. It comprises of aluminium cylinder blocks, brown leather finishing, luxury accessories, electronic riding controls which also interface with the latest internet devices. In addition, the innovative four – stroke electronic injection engine, with enhanced fuel economy and minimal emissions makes this two wheeler an ideal choice for city riding. The 220 mm double disc brake, two-channel ABS braking system and large 12 inch wheels guarantee maximum safety on the road. 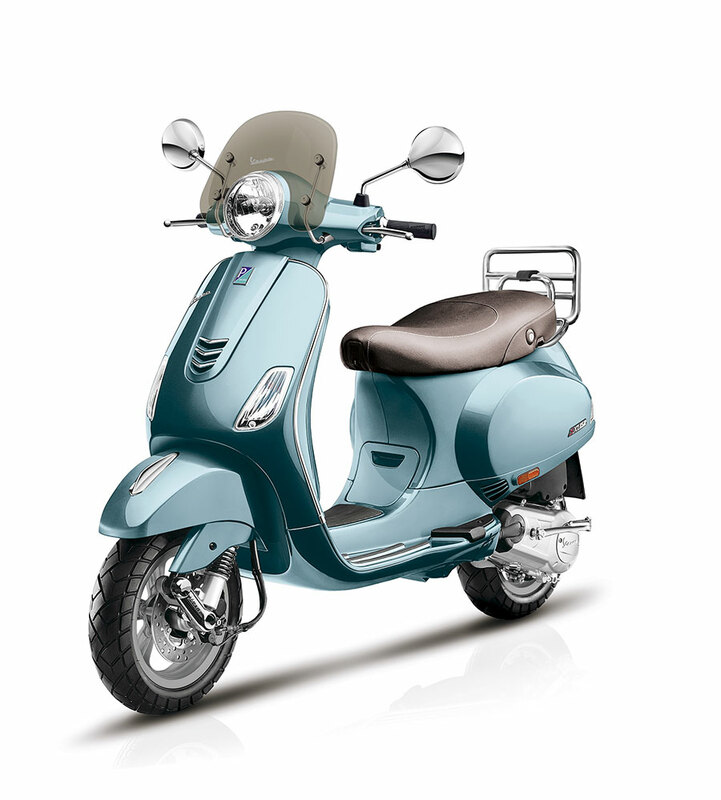 The Vespa 946 Emporio Armani is priced at Rs 12,04,970 /- ( Ex Showroom Pune ). To commemorate the 70th anniversary of the Vespa, the Piaggio Group is paying homage to the most beloved scooter of all times with a special edition – The Vespa 70th Anniversary Edition. With this, the Piaggio Group celebrates the heritage of a vehicle that has surpassed its performance of agile and fun city commuting to achieve a cult status across the world. In India, Vespa is marking the 70th anniversary of the brand by unveiling a special edition of the Vespa VXL from its current portfolio. The bike has been personalised with special features which reflect its Italian heritage. The Vespa 70th Anniversary Edition comes with an exclusive ‘Azzurro 70’ body colour, the new brown leather pattern seats with white stitch work and embossed 70th Anniversary logo in the seat making it stand out from its contemporaries, the fly screen, the chrome rear carrier, the chrome Perimeter guard with integrated pillion footstep, special glossy dust grey allow wheels and the Chrome Vespa 70th Anniversary logo on the glove box augment the chic look of the bike adding a sense of Italian style. The price of the Vespa 70th Anniversary edition is Rs 96,500/- (Ex Showroom Pune).